Though the news from Washington can dominate the headlines, remaining focused on key drivers of market performance is key. 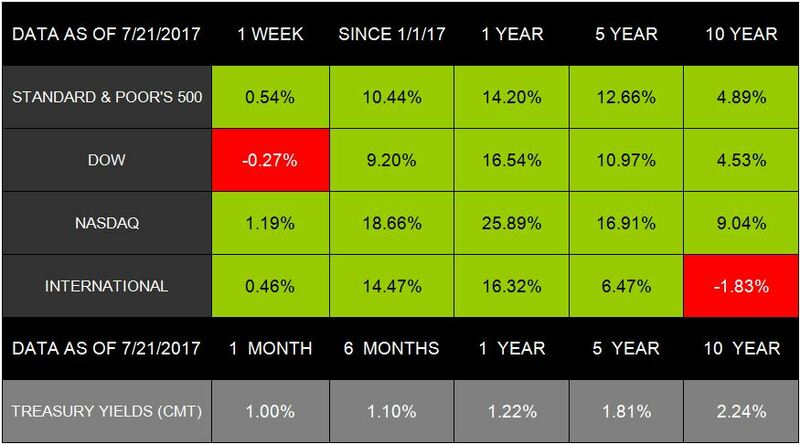 Contact us if you have questions as to how the past week’s markets may influence your portfolio. We are always happy to help. If using bamboo skewers, be sure to soak them ahead of time. In a bowl, mix together the mint, shallots, oregano, cumin, paprika, salt, and pepper. Add the ground lamb to the spices and thoroughly mix. Create 1-inch meatballs from the lamb. 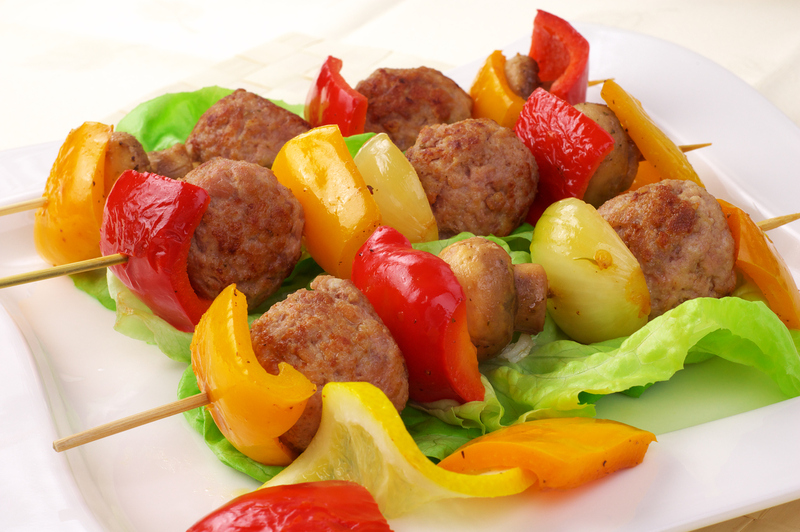 Thread skewers with the meatballs and chopped bell peppers, alternating each item. Grill skewers on medium heat for 6 to 8 minutes, flipping the skewers once to cook on both sides. Grill until internally cooked to 165°F. Plate skewers with dollop of hummus, sliced tomatoes, and toasted pita. If you or a loved one served our country as an armed forces member, specific tax details could lower tax liabilities. Current armed forces members serving in a war zone can receive additional benefits. For those navigating a financial life within the armed forces, here are some tax benefits to keep in mind. Tax-Free Combat Pay: When actively serving in or directly supporting a war zone, your salary is tax free—either partially or in full. Additional details apply, so be sure to identify what to do for your specific situation. Extended Filing Deadlines: Some armed forces members, such as people in combat zones, can qualify to receive automatic filing extensions. They also may be able to receive extensions on other tax details. Free Tax Help: Free tax help is available for members at most military bases during the filing season and for ongoing assistance. Check with your base to see what is available for your locale. Fairway bunkers intimidate many golfers. Fortunately, a few simple tweaks to your setup can give you confidence and control to hit the ball out of the sand with a smooth swing. Here are some tips to help you improve your control in these challenging situations. Step 1 – Select the right club: Your goal is to hit the ball before you make contact with the sand. A key to doing this is choosing a club longer than what you typically use. You still need to ensure the club can get the ball out of the bunker. Step 2 – Open the clubface: You don’t want to dig into the sand, so make sure you open your clubface. Keeping it open will add loft to your shot. Gripping your club lightly to free your swing also will help avoid tension. Step 3 – Stay centered on the ball: Make sure you center the ball so it’s in line with your hands and club shaft, and never ground your club. In your backswing, stay centered by making a full shoulder turn while minimizing movement in your lower body. This focus will keep you from laterally moving away from your target while not hurrying the through swing. Heart disease comes in many forms, and includes a condition called cardiomyopathy. This occurs when the heart muscle becomes enlarged, thick or rigid, and in rare cases, muscle tissue is replaced with scar tissue. Early-stage sufferers may show no signs of the disease, but symptoms often reveal themselves as the condition worsens. Shortness of breath or trouble breathing, especially when exerting yourself. Your legs, ankles, feet, abdomen and neck veins are swollen. Your heartbeats are rapid, pounding, or fluttering, which may indicate an irregularity in your heart rhythm. You often feel dizzy, lightheaded or faint. Chest pain, especially after a heavy meal or exerting yourself. If you experience two or more of these symptoms regularly, consult with your doctor right away. Gnats and fruit flies may be small, but they can be mighty annoying. You can control them in your home, though, without relying on toxic chemicals. If you are trying to beat the bugs, here are some tips to help. Fix Window or Door Cracks: Gnats and fruit flies just need a tiny space to enter your home. Discourage them from moving in by sealing or repairing all the cracks and gaps in your doors and windows. Clean Your Kitchen Sink Drain: Dark, moist environments—like drains full of food—are a boon to these bugs. Keep the drain clean and toss a lemon into a disposal to clean it. You can then add a couple drops of vegetable oil in there to coat and kill remaining bugs. Set Vinegar Traps: Grab a mason jar, and cut small holes into the lid. Fill the jar with a bit of apple cider vinegar and some drops of dish soap. Put the lid onto the jar, and let the trap sit out overnight to attract the bugs.